The new Atlantic City Mayor Frank Gilliam recently visited Las Vegas to take a close look at our legal recreational and medical marijuana industry. He wanted to know about Nevada’s legal marijuana policy, infrastructure and how it fits in with the legal gambling industry here in the betting mecca of the United States. Atlantic City is no slouch when it comes to legal gambling either, and now they are also actively seeking to legalize recreational cannabis with the election of Governor Phil Murphy. Things are changing though in terms of gambling and a particular states’ rights issue. The potential of a PASPA repeal being pushed by New Jersey could have some far-reaching implications in setting precedents not only about sports gambling but also about immigration and state legal marijuana. Debates concerning states’ rights are common to the U.S. when federalism seems to overstep its bounds. 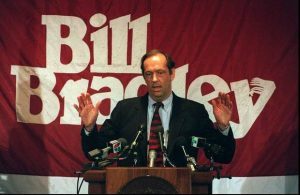 The Professional and Amateur Sports Protection Act of 1992, or PASPA 1992, (it is also called the Bradley Act since former NBA player Bill Bradley played an intricate part in its establishment) is being challenged by New Jersey in the Supreme Court of the United States. New Jersey claims PASPA is violating their sovereign state right to create laws concerning gambling. In 2012, New Jersey enacted the Sports Wagering Act after voters approved sports betting in 2011. Courts have ruled in favor of the sports organizations so far, like the NCAA and the NFL, that have filed a lawsuit against New Jersey and are trying to stifle sports gambling as much as possible. 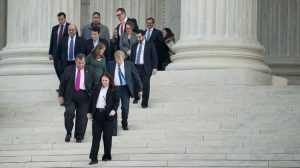 However, New Jersey has continued to appeal the case until now SCOTUS is deliberating on the issue and could come to a decision as soon as March 5th. The outcome could set a precedent that further protects states that have legalized marijuana from the federal government and Attorney General Jeff Sessions. In addition to New Jersey’s all-out attack on PASPA and interest in marijuana despite the murky waters at the federal level, the state has also strongly pushed back against Congressional efforts to ban internet gambling. New Jersey’s online casinos are credited with reversing a long losing streak for the Atlantic City casino industry. Las Vegas has been the only real long lasting hub for legal sports gambling in the U.S., so a decision by the Supreme Court that found PASPA to be unconstitutional could result in Las Vegas losing out on a multi-billion dollar industry. It may also mean that states could use the ruling to further solidify their rights to make decisions concerning cannabis legalization. It would provide a further protection from federal prosecution and possibly loosen up laws concerning social consumption marijuana lounges and other public spaces. There have only been two measures that have insulated states from the Justice Department taking action on state legal marijuana. The Rohrabacher-Farr Amendment, which needs to be voted on and approved by congress regularly, is one of them. It removes funding from the Justice Department to pursue state legal medical marijuana businesses, but does nothing for recreational marijuana businesses. The other measure was the Cole Memo that advised U.S. attorneys not to spend their time prosecuting state legal marijuana businesses, but Attorney General Jeff Sessions rescinded the memo at the beginning of 2018 leaving it to the discretion of U.S. attorneys. Another interesting dynamic to this issue is that in 1992 New Jersey was given an opportunity to be one of the states that could permit sports gambling, but they passed on the opportunity. If they had petitioned for sports gambling then, they likely would have received permission and this would not even be an issue now. If PASPA was found to be unconstitutional now though, this would give states a real precedent to fight the Justice Department in court. 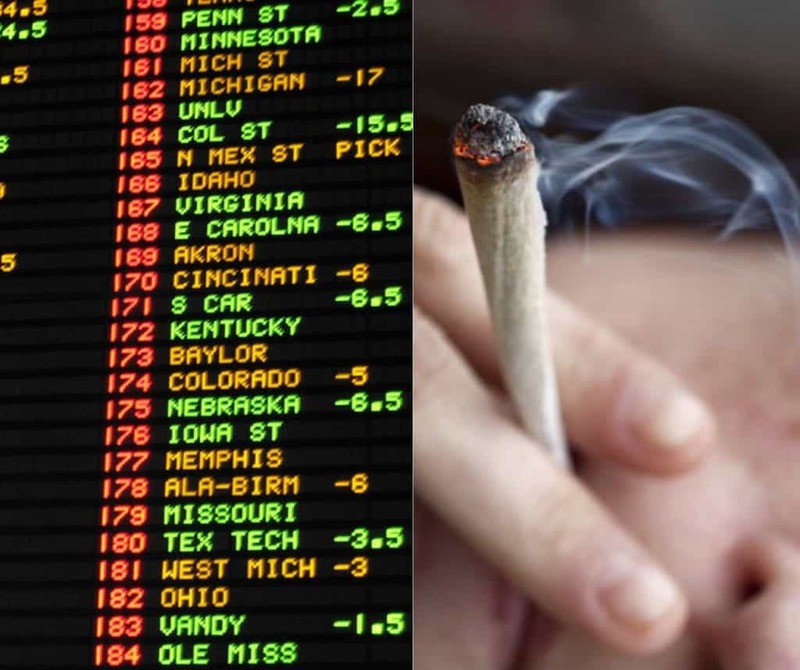 A ruling in favor of New Jersey to allow sports gambling could inadvertently say that activities like gambling and marijuana consumption happen in the black market no matter what a federal or state government decides and it is unconstitutional for the federal government to take away a state’s right to regulate the market the way that they see fit. Therefore, if a state elects to legalize either industry, it is their right and responsibility to contain it.